Having a baby means big changes for all members of the family - even the furry ones. 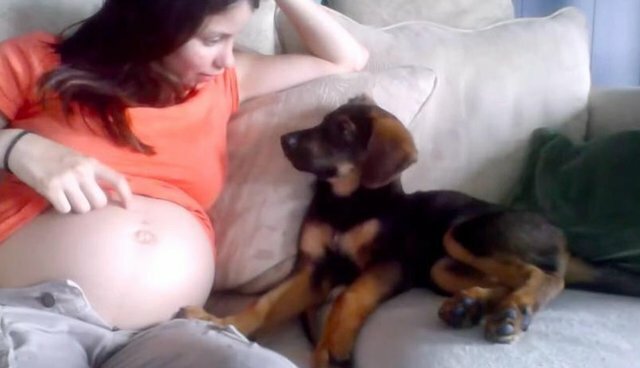 This mom-to-be recorded the adorable moment she told her puppy, Junie, that there was a new baby on the way. But she eventually comes around to the idea of a new baby ... even though she gives her mom intense puppy dog eyes like she's saying, "I'm still your baby too!" The video was uploaded back in 2014, so hopefully by this point Junie has bonded with her new baby sister. After all, dogs and babies are the best combination.